In the manufacturing process, Barbarian does not use tough protein paste found in so many other protein bars. Instead, we’ve used a new improved process in which the protein rises and is baked. This gives you a much tastier bar that is soft on the inside and crunchy on the outside. This is a food supplement. Food supplements should not be used as a substitute for a varied diet. This product is to be used in conjunction with a sensible diet and exercise program for best results. Please store in a cool, dry place and keep out of reach of children. This product is not intended for anyone under the age of 18. This product is not intended to diagnose, treat, cure or prevent any disease. 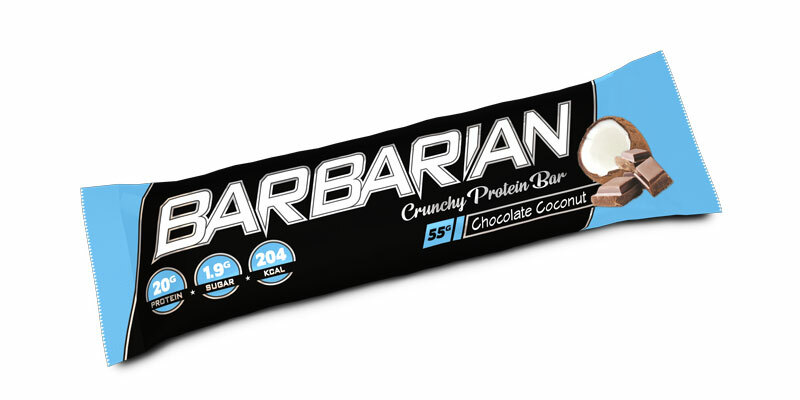 Thanks to its unique composition, you can eat a Barbarian bar at any time! How much protein does each Barbarian bar contain? A Barbarian contains 36% protein, which is 20 grams high biological value protein per bar. 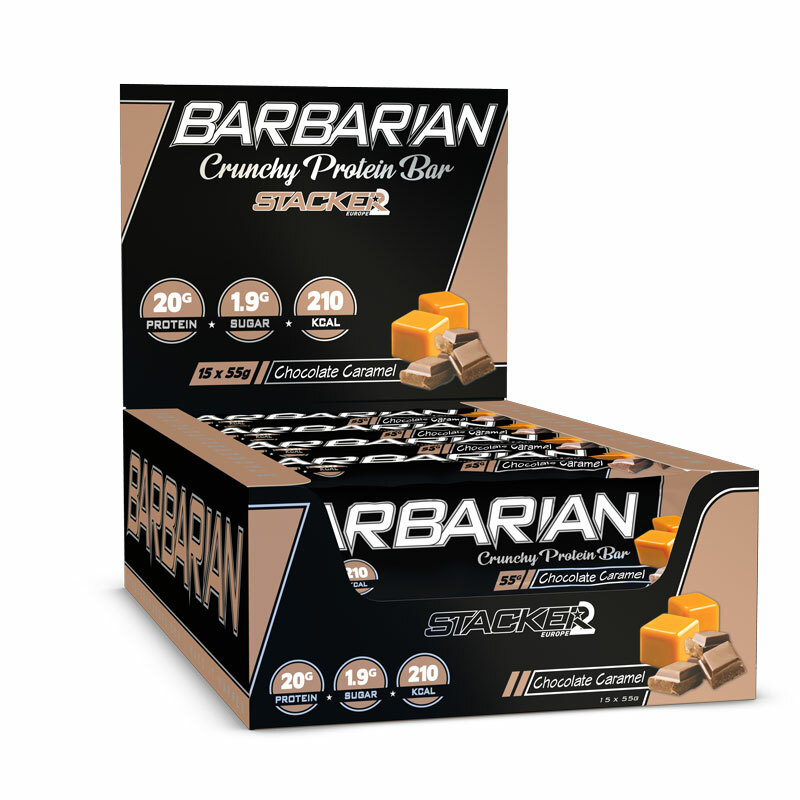 How can you describe the structure of the Barbarian protein bar? In the manufacturing process, Barbarian does not use tough protein paste found in so many other protein bars. Instead, we’ve used a new improved process in which the protein rises and is baked. This gives you a much tastier bar that is soft on the inside and crunchy on the outside. Unparalleled taste and texture. Does Barbarian fit in a (low-carb) diet? Yes, Barbarian definitely fits into a (low-carb) diet as it only contains a maximum of 216 calories and less than 2 grams of sugar per bar. That’s up to 70% less sugar than other snacks with chocolate. Can Barbarian serve as a meal replacement? Yes, Barbarian satisfies your hunger in a responsible manner. The bar is rich in protein and guarantees that your hunger will be appeased for many hours. I had the privilage to try a sample before the official Barbarian launch, and I was trully impressed. This defintely is one of the best bars around and can easily compete with all the other best selling protein bars. I'm pretty sure this bar will conquer the world of protein bars, and stays at the top for several years! Well the best bars I've tasted since Mars and Snickers protein bars. They are highly recommended! 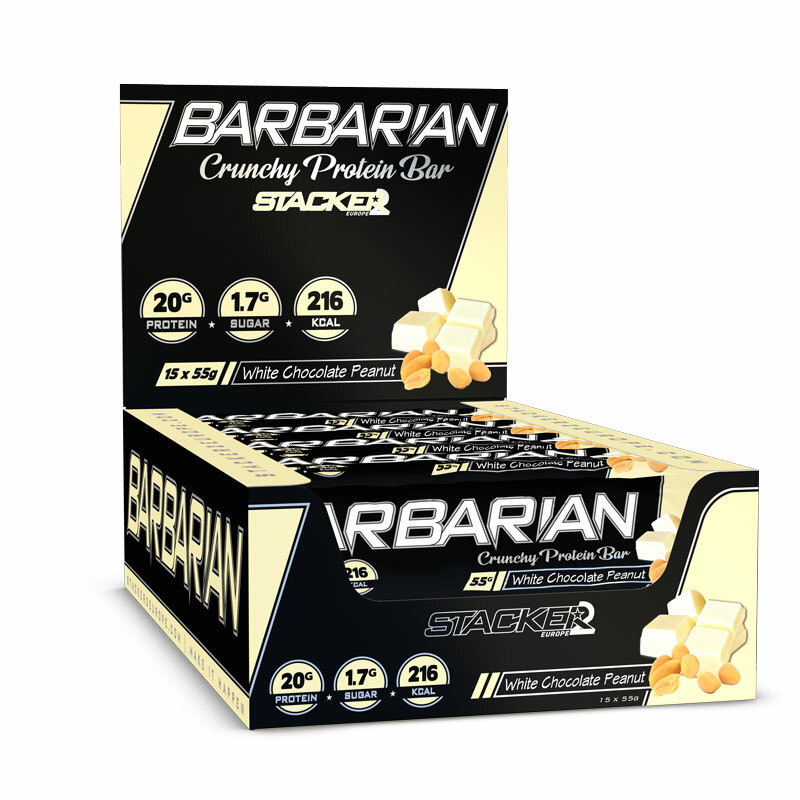 As mentioned at the beginning of our Barbarian Protein Bar review, Stacker2 Europe has surprised us on this one. The protein bar is easily one of the best in the world mostly thanks to how realistic and candy bar-like the White Chocolate Peanut and Chocolate Caramel flavors, and also how smooth and fun the consistency is. Click here to read the full review on Stack3D!